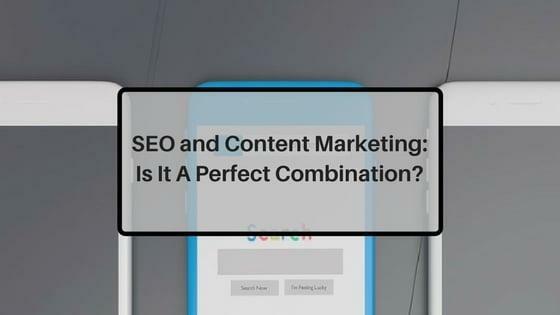 SEO and Content Marketing: Is It A Perfect Combination? With the rapid development and emergence of the Internet, online streams, and other technologies that augment the online experience, digital marketing has become the prime strategy for businesses in this decade. And in this particular field, two sub-strategies have steadily risen to the top of the game and became the most powerful forces to be reckoned with in digital marketing: Search Engine Optimization (SEO) and Content Marketing. When it comes to being part of the overall digital marketing strategy, SEO and Content Marketing play two different yet crucial roles. SEO, which is often regarded as the framework of any online strategy nowadays, has long been sought after and worked at as it is the key for business’ to boost brand awareness, online visibility, and increase in web traffic. It involves extensive work and a considerable investment of time and effort to make sure that it reaches the goal of ranking higher in search engine results pages (SERPs). This strongly helps the business become a more relevant search for their intended customers/audience who are looking for business like them in certain keywords associated with the industry. Content marketing, on the other hand, is one of the strongest ways a business can establish themselves as a thought leader, top influencer, or an expert in their industry. It is most useful for achieving a higher level of engagement and loyalty from their audience, present customers, and even potential customers. With the differing results of both strategies, will using both help your business succeed far higher than ever before? Find out with this infographic by CJG Digital Marketing.